Tiger eye is the new sensation in coloring and makes more desirable shades possible. These sublime highlights inspired in the semiprecious stone tiger eye offer mixtures of warm chocolate, caramel, mocha, bronze and blonde. While guaranteeing soft lines and a harmonious gradient, Tiger Eye offers a slightly more pronounced coloring and brings light to strategic areas of the face. It’s the perfect ally to achieve multidimensional dark hair with exquisite luminosity. Moreover, gold and brown highlights help soften and vitalize your face. Shatush is a coloring technique that focuses on nuances. It’s similar in nature to the ombre look in that the ends are lighter than the base tone, but it differs in that the source of the roots are practically invisible. Shatush plays with very subtle shades, designed to give hair a natural light and look. While it offers endless combinations, the formula for a perfect Shatush is allowing it to acquire the natural nuance of light. A more daring option is to play with beige shades, which are suitable for both dark hair, when combined with hazelnut, coffee or honey, and blonde hair, when combined with ash or gold nuances. The romance of braids has developed to include what is known as Boxer Braids: a trend that has taken root—no pun intended— with various celebrities such as Kim Kardashian, Chiara Ferragni and Jennifer Lopez, among others. What makes this hairstyle so practical is that it’s a multifunctional look: it works in both day-to-day life while also making for a stunning evening look. A casual look with an extra pinch of personality that softens and enhances the face. Perfect to take on the day. Sulfates are surfactants whose main purpose is to clean. In the case of shampoo, they clean hair fiber and create a good lather. Sulfates eliminate the dirt that accumulates in hair due to the environment, pollution or product buildup. Sulfates are therefore characterized for having a "stripping" effect that loosens and eliminates accumulated dirt and product buildup. 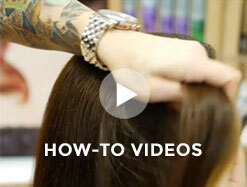 This stripping effect is beneficial because it ensures good hair hygiene. 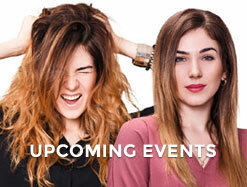 Nevertheless, sulfates may cause irritation in the case of very sensitive scalps and skin. Moreover, the stripping effect has been proven to be counter-productive in color-treated hair because it deteriorates and weakens the quality of the applied color. 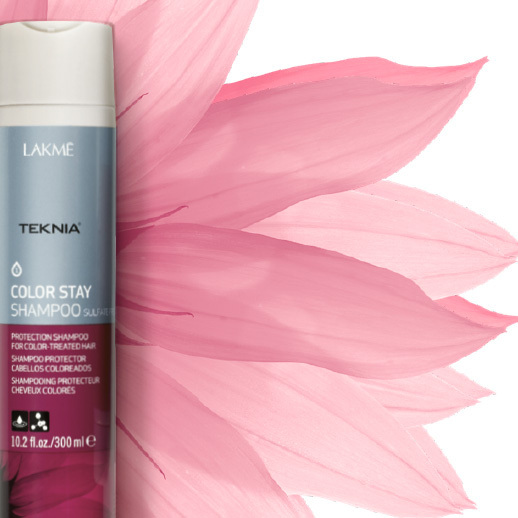 One of the leading products within the LAKMÉ USA catalog is the TEKNIA COLOR STAY shampoo, which is designed to protect color-treated hair. TEKNIA COLOR STAY is formulated with an acidic pH to close hair cuticles and maintain the color's resilience, thus achieving vibrant color and natural shine. The formula includes an antioxidant extracted from sunflower seeds, which helps protect color-treated hair from the effects of the sun and, consequently, helps prevent color loss. Staying true to our passion for achieving excellence in the protection and optimal endurance of color-treated hair, we now present a new sulfate-free formula. With this formula, color last 50% longer than with the previous formula. SULFATE-FREE COLOR STAY SHAMPOO delays the loss of pigments and provides extraordinary, vivid color.